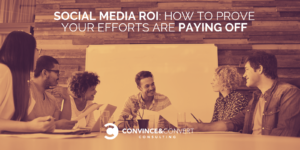 One of the most difficult parts of social media marketing is actually proving its ROI. It’s easy to throw numbers around – likes, new followers, comments and so on – but how do you actually prove your return on investment from social media? How do you demonstrate that your work is bringing in revenue or helping the brand reach its marketing and business objectives? In this post, I’m going to share some of my best and most effective tips, tricks and tools to help prove your social media ROI. Let’s go. Vanity Metrics vs. Actionable Metrics: What’s the Difference? “Vanity metrics” is a term that’s thrown around a lot, but what does it actually mean in the context of social media marketing, and how is it relevant to measuring and proving your ROI? Vanity metrics, as the name suggests, are metrics that might make you feel good about yourself – such as generating a bunch of likes on an update or having a large number of fans and followers – but if the metrics aren’t actually relevant to your specific social media marketing objectives (usually, the one’s management or clients ask for), then they are simply vanity metrics. They might look good on paper (or that PDF report you have to send regularly), but in the grand scheme of things, they don’t really matter much to the bottom line. Or, another way to look at vanity metrics is as metrics that don’t show a direct ROI, such as clicks, traffic and conversions made, which are “actionable metrics”. This isn’t to say that followers, likes, comments and so on aren’t important or relevant. In fact, depending on what your marketing objectives are, they might even be the most relevant stats you have. But in most cases, businesses care much more about results that they can actually understand from their point of view: a surge in traffic to their website, people signing up to their email list, social media fans buying their products or services or inquiring about them and so on. For objectives like brand awareness, engagement and so on, you can prove ROI simply by reaching objectives (for example, if your objective is to generate 200 new followers in 30 days, then you’ve proven ROI by reaching that goal). Alternatively, you can also assign these types of metrics a certain value. For example, a new follower might be worth $5, while a like could be worth $1. Whatever your directive is – and what results you’re supposed to achieve – you should always establish clear objectives beforehand and run them by your manager or client. The clearer you are about this from the start, the easier it will be to prove ROI and avoid any misunderstandings. And finally, every goal should be time-bound – in other words — it needs a deadline! As I mentioned before, one of the essential aspects of a good objective is that it needs to be measurable. When your campaign starts, you should also start carefully tracking the relevant KPIs to monitor your performance and optimize it as you go along. Plus, it will help you measure your social media success. Google Analytics can be one of your best friends when it comes to proving social media ROI. It can track what your social media traffic is doing on your website, as well as tell you how many conversions you’ve generated. Set up different conversion goals in the Google Analytics admin. Select the template you want to use (although you can also start from scratch) and follow the instructions to set up your conversion goals. As I mentioned earlier, you’re not allowed unlimited goals, so you might have to replace older ones that are no longer relevant whenever you have a new goal to track (like a new service you’re offering, or a different email list). Once you’ve created your goals, you’ll be able to track them for all of your traffic including, of course, your social media traffic. Then, when you head over to check your social media traffic in Google Analytics, you’ll also see a conversion rate for each of your social networks which will help you understand the quality of your traffic and help you focus on the social networks that drive results. Better yet, you’ll be able to see actual ROI from social media conversions. However, in order to have this information, you need give your conversion goals a monetary value when you set them up. For example, an email sign up might be worth $10, while buying something from you could be the average product or service price. 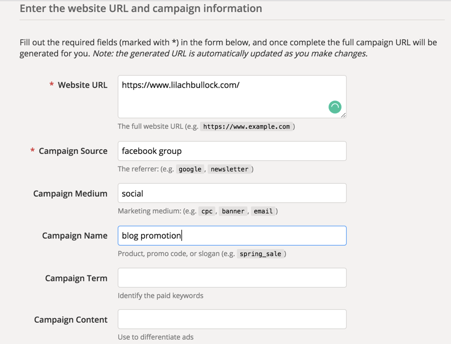 Create your tracking URLs with Google Campaign URL Builder. Using UTM tracking links will allow you to really narrow down your findings, much more so than Google Analytics can on its own. For example, you can see which Facebook groups brought the most traffic or what kind of results a specific social media campaign brought in (traffic, conversions, etc.). Once you’ve set up these tracking links and started using them, you can track them in your Google Analytics account, under Acquisition – Campaigns. Discuss these values with clients/managers/etc. to come to a mutual agreement over the value of these metrics and you’ll then be able to automatically generate a Page’s ROI any time you need it. All that’s left to do is keep an eye on your results so you can change up your social media strategy when needed if you’re not getting enough positive results. Once you turn on UTM tracking, you can customize the parameters to your liking and even add extra parameters beyond the usual suspects (source, medium and campaign). And like before, you can track the results with your web analytics. This feature will allow you to easily add UTM tracking links (and shorten them automatically if you’ve also connected your Bit.ly account) to each and every link you share; even better, if you’re sharing a link to multiple networks and want to save quite a bit of time, you can select the “Dynamic” option under “Type” and Agorapulse will automatically select the correct social network, medium and profile and them to each UTM link. This way, they’re not just tracking results from the actual ad, but also from any comments happening. 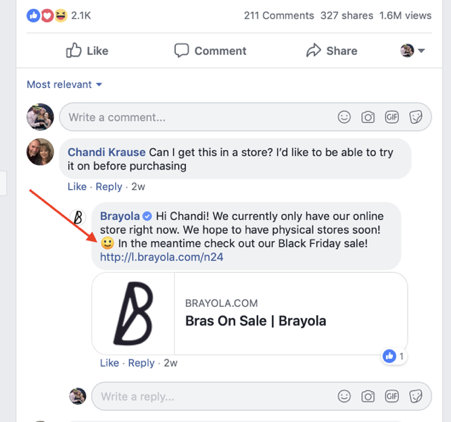 After all, it’s still an ROI from social media and by using the UTM links they can actually track to see if that comment helped them make a conversion or sale. As you might recall from earlier, it’s good practice to monitor your social media KPIs all the time, in order to optimize your campaigns on the go – with the goal of improving your results so that you can reach your objectives. You can do so very easily with a business dashboard such as Cyfe. 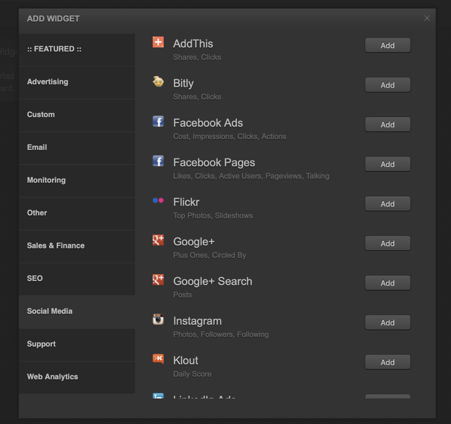 Basically, it’s a dashboard that you can connect to your social media analytics (Twitter Analytics, Facebook Insights, etc.) and use it to constantly monitor the KPIs you want. As you can see, you can track pretty much any major social network (Facebook, LinkedIn, Twitter, YouTube, etc. ), as well as your Bit.ly shares and clicks and Twitter, LinkedIn and Facebook ads. Once you’ve taken the time to set it up, all you have to do is log into your dashboard to see how your results are evolving – use it not just to monitor these results, but also to help you put together your ROI and social media reports, using the data provided for the relevant social network. 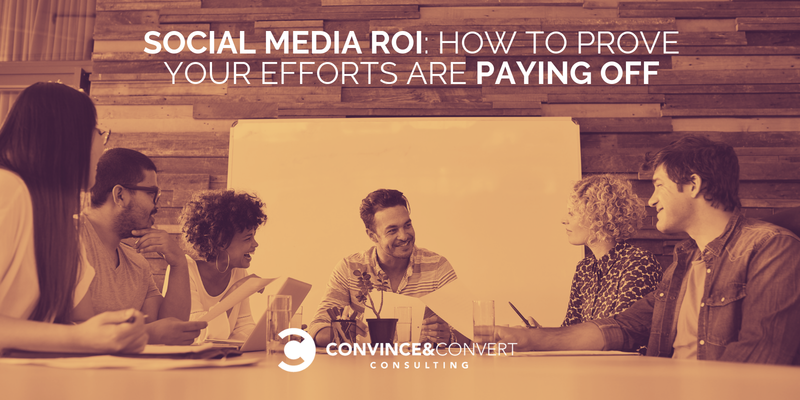 What are some of the biggest challenges you’ve faced when having to prove social media ROI? What is your strategy like and what types of tools do you use? Highly regarded on the world speaker circuit, Lilach has graced Forbes and Number 10 Downing Street. She’s a hugely connected and highly influential entrepreneur. Lilach was listed in Forbes as one of the top 20 women social media power influencers and was crowned the Social Influencer of Europe by Oracle.